Replace hardware without losing your Campaigns on it. Do you plan on enhancing your digital signage system with the latest screen available? Replace the monitor without wasting a second with Campaign management. 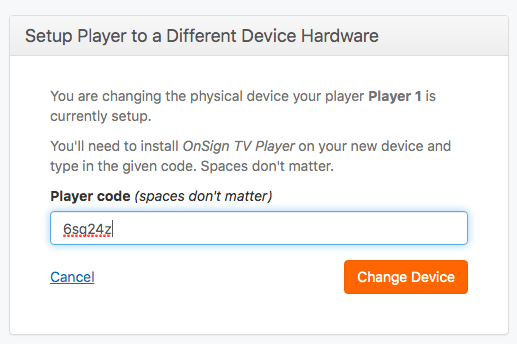 There is no need to remove a Player only to connect it again to your account because OnSign TV allows you to change devices. The complete content is transferred automatically with the publications filters you have set. First of all, make sure the new device has the OnSign TV App installed on it. If not, download the software according to the device’s operational system from the OnSign TV website. If you are not sure which App you should install, look for answers at the “Installation and setup” tutorial section. Open the App when installation is complete. Note down the code displayed on the screen. Access your OnSign TV account and click on the “Players” tab. Select the Player you wish to change devices for. Click the yellow “Change Device” button at the top-right of the page, next to the “Player Settings” header. 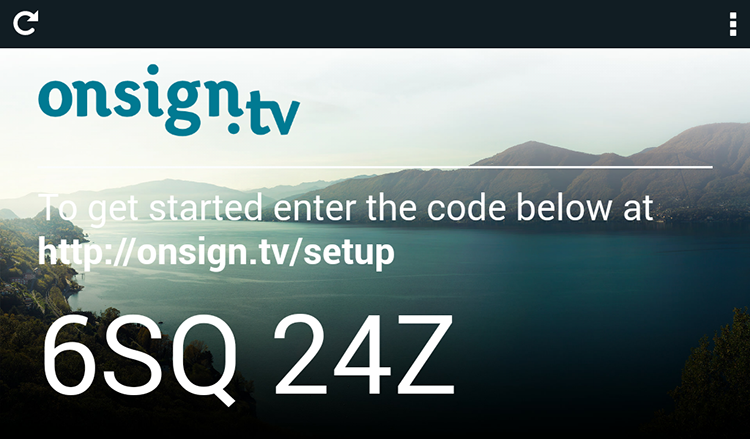 Type in the code from the recently installed OnSign TV App on your screen and confirm with “Done”. The content will be transferred from the previous device to the new one. 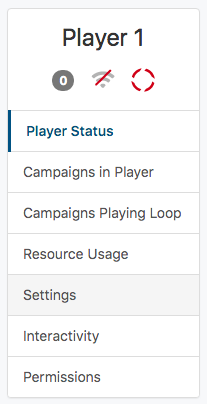 The old device won’t display any Campaigns anymore. A setup code will show up on your old screen in case you want to associate it with your account as a new Player. This won’t be possible if you have reached the maximum of Player licenses you have signed up for. Read how to adjust the number of Player licenses.